We know that entrepreneurship is the key to building wealth in the Black community. The USBC National Conference is the only conference where Black business owners and policy leaders come together to build a small business agenda. Conference attendees can expect to experience opportunities to learn from industry experts and their peers while collaborating on ways to support and cultivate more Black-owned businesses. 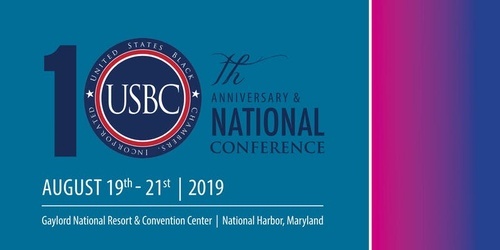 Attend USBC’s 2-day National Conference to learn business insights, identify collaborations, and make powerful connections. Full conference registration grants you access to all receptions, plenary sessions, luncheons, and the USBC's 10th Anniversary Awards Banquet.